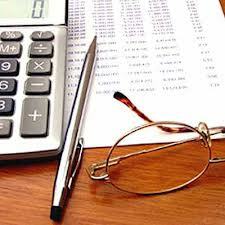 In each business, the basic transactions include liabilities and receivables. The liabilities of the company come from reception of purchase invoices, and receivables from the issuance of own invoices. However, this is only one side of the coin. During the settlement of liabilities and on payments, strict discipline and regularity is required, in order to produce subsequent managerial report based on which important business decisions can be made. One of the most important processes we insist on is that our company has full control over the bank statements entries. Why is this important? Each change on the statement brings only a portion of information, but proper entry of such information can provide information to us, as the bookkeeping agency, related to company operations, that we can present to the management. In a word, by gradual and responsible entries of changes based on the bank statements bookkeeping services are significantly facilitated. Great portion of the work is semi-prepared. This is why SMV as the Agency for Bookkeeping services considers payroll and bank statements management one of its most important obligations. Price of the payroll and bank statements management service that is offered by our bookkeeping agency primarily depends on the number of transactions to be processed. Also, the price depends on whether e-banking will be used, or not, and whether you use our business software in the package of united business solutions. Naturally, the price of the service depends on whether the potential company is the user of some of our services from the united business solutions company, in which case special arrangement is made depending on services selected.